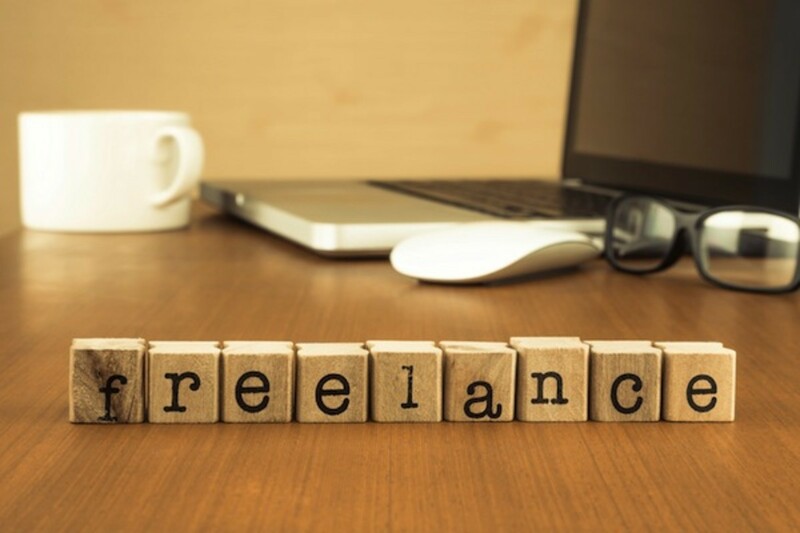 Many people have a lot of misconceptions about freelance writing. Some believe that writing full time is not a “real” job. Others believe that it is too hard to get established and there is no real money in it. I've heard all sorts of misconceptions since dedicating myself to freelancing full time. I'd like to clear a few of these up and then I'll explain how I set about the process of becoming a full-time writer. Chances are, it's not as glamorous as some make it sound, but it's not impossible or a "pipe dream" either. Writing is everywhere—everyplace you look there are words, from signs to menus to junk mail—someone wrote them. Writing can be very lucrative when you cut through the myths and learn the truth. According to the Bureau of Labor Statistics, in 2010 the average median salary of a writer/author was $55,420 per year. Not bad! This of course covers all types of writers in general. There are many specialties that will pay much higher. Ghostwriting tends to pay very well as does technical writing. $55,000 a year is very doable if you have diverse skills within a great niche or two. Between 2000 and 2006 the demand for freelance writers grew by 300% and it is still steadily rising. This is the information age and writing (well) is where it's at. Freelance writing is largely recession-proof. There is enough demand that you can always find new customers. 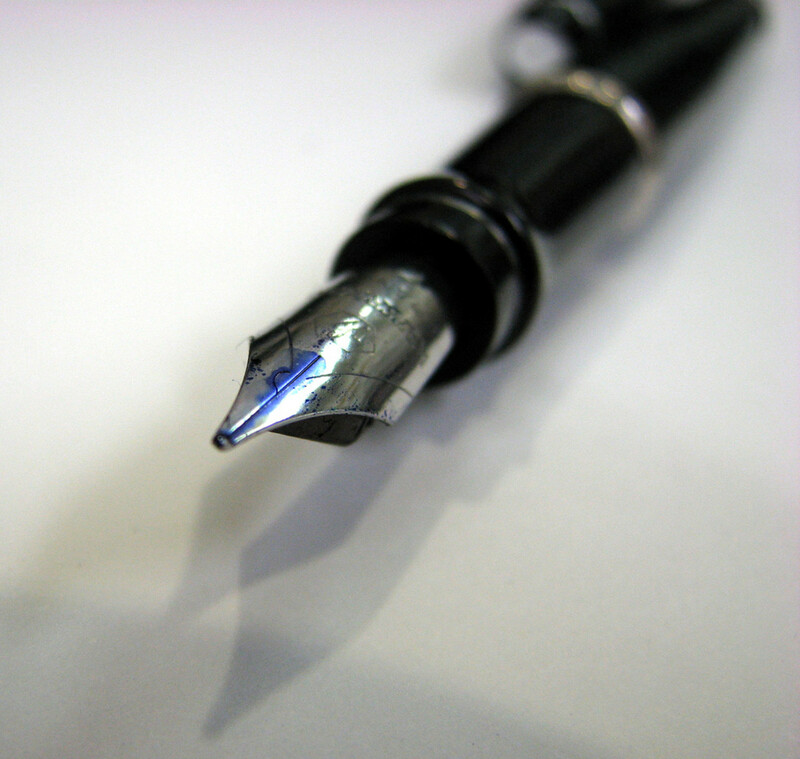 There are many great free tools for writers and freelancers of all kinds. You don't have to be rich to start a freelance writing business. It costs very little to get started. Web hosting fees and web design services for your portfolio, a computer, an external hard drive (backups and portability) or cloud storage if you're so inclined. You'll also want a decent printer, some business cards and some money for your Elance or freelance site fees and you're ready to roll. Writers are notoriously helpful people. We love to share and communicate—we're writers for a reason after all! Many forums and sites can help support you, and that's important because writing can be very isolating and lonely! This is only as true as you allow it to be. If you are a "so-so" writer with no motivation to excel, or you lack confidence and will allow yourself to be paid peanuts for your work, then this might be the case. I know this probably sounds harsh and judgmental, but frankly it's one of my biggest pet peeves. Writers who are very good have this misconception that to “get started” they have to accept jobs for little to no pay. This is a myth that many content farms and unscrupulous companies are happy to indulge—and unfortunately, there are too many writers out there who will accept peanuts and be thrilled about it. My first paid job was for $500, for a magazine, and they came to me! Why? They saw writing I had done on a website and loved it. Granted, this doesn't happen to everyone, but it does bring home the point that you don't have to grovel for pennies. When you devalue yourself it irks me. Why? Because it devalues professional writing for all of us. Fortunately, there are still ways around this and most good clients know that content farm writing is not the highest quality. They will pay generously for high-quality content in their niches. Good clients are out there; you just have to know where to find them. Remember, Google has cracked down on the junk "writing" that was passing for web content. People are scrambling now to find excellent writers who can deliver an on-point message that people want to read. This is nonsense. Sure, anyone can slap on the title “writer,” and many do, but that doesn't make it true. Professional writers are always learning, always growing and always expanding their craft. They spend years developing and honing their skills, and no matter how experienced they become; they always learn more. Those with few skills and limited experience tend to grow frustrated. Perhaps they believe that writing is “easy” to break into. It is, if you are willing to work for less than slave wages, but lucrative freelancing takes time and experience. I work harder as a writer than I ever did at my office job. Why? Because writing isn't my only job. I also have to market myself, pitch ideas, do the books, build the portfolio, find and maintain my client base and handle all the elements of customer service. Full-time freelance writing is a BUSINESS, not a hobby. If you think you'll spend 90% of your time writing, think again—it's more like 60 - 70%. If you believe that a freelance writing job is ideal because of flexibility and the fact you enjoy writing, you might be in for a rude awakening at some point. I have clients in other parts of the world who contact me at odd hours. I do have some flexibility, yes, but the work still has to get done. At first, I had to deal with family members interrupting me or expecting me to drop everything, which is not possible if you want to keep your quality up. Others don't tend to understand that home office still equals work. The Writer's Market Guide is worth every cent, if you write for print publications: it will pay for itself with your first assignment. Your purchase gives you access to the online database to search for publisher information and writer's guidelines. Research and find high-paying opportunities with ease. This guide has everything a niche writer needs to find publications quickly in his or her areas of expertise. Most importantly, you have to really enjoy writing. If you just kind of enjoy it, or think it would be an easy way to make some money, you aren't going to succeed with it as a business. Sorry to be blunt, but it's true. It takes a lot of dedication and a thick skin to handle rejection, unsteady paychecks, and revisions. Secondly, you have to be willing to learn and you have to be very motivated and disciplined to succeed. Nothing will lose clients faster than missed deadlines. If you are not organized, you need to tackle that situation first. More important than anything else, your portfolio is what defines you to clients. Your portfolio should have samples of your work and links to places you are published, and it should be updated regularly. You can also use sites like HubPages for clips or samples. I regularly use my collection of HubPages articles to show clients my writing style. I add a few pieces I've written for others, to give potential buyers a good idea of the range of “voices” I can use. 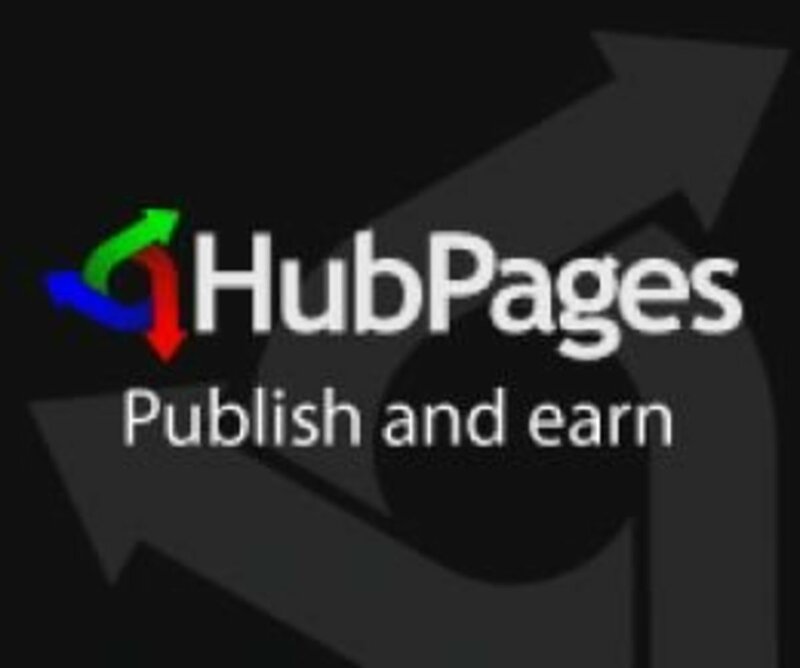 HubPages has landed me many new clients. The layouts here are beautiful. You can really make writing shine. You also need to have your own domain. My domain has an HP widget on it that lists my latest hubs. It's convenient because clients visiting my website can see quickly what I've been up to. If you are an expert in a certain subject, or if you have other skills, use that to your advantage. Write hubs or articles around a couple of niche areas and target yourself to those markets. I target myself to the metaphysical and natural health genres. I am very well-versed in them, enjoy the subject matter and it makes assignments for clients so much easier. They appreciate a writer with expertise who understands their needs, and I appreciate not writing about random widgets when I'd rather focus on topics that interest me. Most of my hubs here and several of my own websites and blogs are centered around my two niche genres, giving me an abundance of material to share with prospective clients. My favorite freelancing site used to be Elance (which has changed, and is now "upwork" along with ODesk). Yes, there were several writing jobs on Elance that offered a pittance on Elance, but there were many clients there that were willing to pay a fair price for good work. When you bid on a job at a place like this, be sure your proposal is highly personalized and that you are pitching your strengths. Avoid fluff and filler; the person doing the hiring is sifting through a lot of competition. Be succinct and direct, and explain why you're the best person to do the job. I landed my first gig on Elance the day after I signed up. I got the job by having excellent samples and by targeting my proposal specifically to him. I did a spectacular job and he immediately left me 5-star feedback. This led others to give me a shot and now I have many, regular clients both on Elance and off. Word of mouth is also your friend. You'll find once you have a few clients that love you, they'll pass on your name to others. Stick to your niches, but expand your skills in them. For example, I regularly write press releases, product descriptions, squeeze pages, eBooks, and white papers in addition to blog posts and web content. I routinely look for ways to expand my skills and that allows me to find more clients in my niche topic areas. The next steps are a lot of trial and error as you work to get your own groove. You'll find the time management and organization techniques that work for you. Chances are these will continuously change. The biggest thing is to have a private workspace, free from distractions. It is a business; you have to treat it like one to be successful. Once you are established, though, it can be a great career. I love what I do. It has its stresses. Deadlines stress me out, but they are unfortunately a part of the deal. Some months I have more work than I can handle and it impinges on my family time. There are also a lot of benefits. The perks are flexibility, doing something I enjoy, and being able to pick and choose who I work with. I can work at odd hours, in my everyday clothes, and there's no commute and no dealing with obnoxious co-workers. So, like everything else in life, it has its pros and cons. I'm at a place where making my writing into a business is not the direction I want to go. Yet I really enjoyed reading this. You speak with the authority of experience, and I like that. Great job! 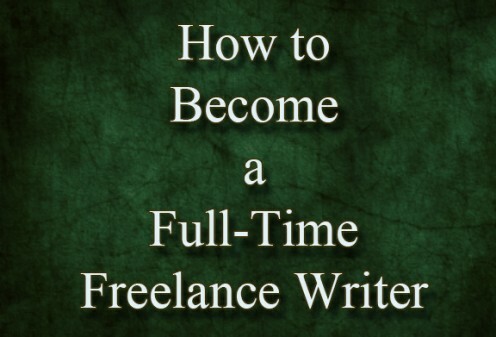 Great advice on how to do well as a full-time freelance writer. Very useful on how to get started and make some money on the side. Voted up! Thanks for the advice, I might try them both out and find out which one works better for me that way. I'll definitely look into Elance first. Thanks you - so glad you enjoyed the hub and found it useful. Hi Chris - For me, it's a matter of personal preference. I never had any luck finding a decent paying gig on 0desk. I had to wade through a lot of crap at times, but I was always able to find something on Elance, and that helped me build a base of clients and that grew through word of mouth. It seems more personal and professional in my opinion on Elance. Lots of good advice and tips. It's always nice to hear positive feedback from writers, so thanks for the info. Great Hub. This hub is a great tool for anyone who wants to get into freelancing. I was going to try oDesk or their new updated version but am unsure if that'll be beneficial. Should I do Elance instead? Thanks Daniella glad you enjoyed it. I have several hubs on freelancing I welcome you to check out. I thoroughly enjoyed this hub. It provided me with some useful tips as I embark on going from part-time writing to full-time writing. Thanks! You are so welcome. I told you the truth. Thank you for sharing the valuable advice. This is an excellent article, and extremely useful. I look forward to reading more of your work. Thanks for reading and commenting Kenneth. Greatly appreciated. Great hub. Very helpful, honest, poignant and intelligent. Voted up and all the choices. I write just for HubPages now. I just do not physically feel like taking on antoher freelance site due to this Fibromyalgia I have that hurts my bones all of the time. Keep up the great work and I cordially-invite you to read one of my hubs and then please follow me too. Thank you ChristinS for this very informative and well written hub. I might consider becoming a full time freelancer one day but I am not ready yet. I still enjoy my full time job. Excellent advice. I've been freelancing now for a year and love it. I started when I became ill and had to leave my day job since I was having chemotherapy. I'm done with chemo and I'm still freelancing. I have the hardest time with family interruptions. I love them but they call me during the day when I'm writing. It makes me lose me momentum and focus. I feel they don't think my freelance writing is a real job. Thank you so much for this hub! Thanks so much fpherj48, your comment made me smile on a challenging morning :) I appreciate it and it is a great compliment because Bill aka billybuc writes hubs I really adore. Much appreciated! Christin...This hub is so informational, clear and expertly-written, I had to go back to your profile to see if you are a "teacher." I say this because you and Bill Holland write well-organized instructional hubs, backed by common sense and proven results. This particular hub is invaluable to anyone who aspires to get serious and write full-time as a profession. I applaud you for the time, effort and focus you have put forth. It is certainly evident in your work. You definitely deserve the success you have achieved thus far and I've no doubt will continue. Further, it is generous of you to share this hard-earned knowledge with others.......UP+++pinned/tweeted. Thanks Eddy, glad you found the hub helpful. It can be hard to branch out initially, but worth it :) I wish you much success. A great hub Christin and came for me just at the right time. I have decided to return to my writing course which I have only aired every so often. I love composing poetry on here but do now need another outlet and to spread my wings a little. I need to learn and this one as well as voting up I am also saving for easy reference. So glad I came across you on the forums this morning. Thanks so much ologsinquito glad you enjoyed it. I love working as a freelance writer and I wouldn't have it any other way. This is a great article and I thoroughly enjoyed reading it. Thanks so much Zainab, glad you found the hub useful and I appreciate the votes and shares. Great article. ChristinS! I love the solid facts you provided and made information understandable. Sharing and voting this one up! Very welcome - so glad you enjoyed the hub cygnetbrown Have a great day. I definitely need to expand my writing portfolio. Thanks for the tips. Thanks for reading and commenting Jan. I agree, it can be a scary proposition at first. I was very stressed the first time I took on clients, because like you, I was used to writing on my own time with my own ideas etc. Once I got started though, that fear quickly subsided and I actually enjoyed doing other things. It expanded my horizons a bit and I have fortunately connected with some truly amazing clients and I love feeling like I am helping them to be successful in their businesses. :) If you ever branch out, I'm sure you will enjoy it! ChristinS, excellent tutorial on becoming a freelance writer. I'd consider it part-time but have some apprehensions in general. I love writing and coming up with ideas and producing at HP on my on time. So the thought of a request from a client on a particular subject with a deadline scares me to death. My private practice is my priority right now so I'm not ready. But I will at some point consider expanding outside of HP. Thank you so much for this article. Voted up and useful. Thanks for the advice and the inspiration. Anyone who has given freelancing a shot has had those days where you feel like it would be a million times easier to go be a Walmart greeter. You're right, you gotta want it and you gotta hustle! Reading your hub helps me remember that it's not impossible. Thank you Mahfoudh for the compliment :) It makes me happy when my hubs help other writers. Great Hub. I liked how you cleared up these misceptions in a very appealing way. Your "writing" Hubs are the best yet. Thanks Nick! :) always appreciate support and encouragement and glad you found the hub useful. Great hub. Voted up. Thank you for your writing. I'm really enjoying what I've been reading. Great advice Christin and thanks for the resources in your other hub too. As someone who is slowly building an article/content writing service, your advice is very timely for me. thank you barbara for reading and commenting, best wishes for your success. Same here, I was having a hard time getting a decent job at Elance, but I am taking all your advice to shine as a freelance writer. Thank you. Great hub. Wow, thanks for the excellent advice. I personally had a bad experience on Elance and avoid it now. It seems to have a fifty-fifty reputation. Thanks so much for pointing out, though, that just because a person can write (ie. is literate) does not mean he can be a writer. (I have been writing since I was 7 and got my degree in English Writing.) After all, just because you can cut does not mean you are a surgeon. Thanks for reading and commenting rebecca - glad you enjoyed the hub. Thanks so much for a great description of freelance writing. I do some, but I like having the time to do my own stuff too. It's a constant juggle, and I appreciate your good insights! Thank you Crystal. It has its stresses and isn't for everyone, but in all honesty, I would never trade it to go back to punching a timeclock for someone else. :) Thanks for reading, commenting and sharing! This is an excellent basic guidance hub to freelance writing. I have to admit, my fantasy is that a full-time freelance career would include a great deal of flexibility and work/life balance, but after reading this and a few other articles by full-time freelancers, I fear I may be wrong. The stress of building your client base, unsteady income, no employer-paid insurance and no paid vacations or sick time could certainly take a toll. I appreciate your honesty here and congratulations on your success in this difficult career. Pinning, voting up. useful suggestions about freelance work.also cleared some air of misconceptions.I was also interested but always had a pessimistic viewpoint.thanks.I will surely try now. Awesome hub Christin! You have great knowledge on freelance writing. Another motivating and inspiring read, thank you :). Thank you for your hub! This is pretty inspirational for a budding author like myself. I have settled for pittance for my free lance stuff, and I learned the hard way. So, I'm glad you're getting the word out. Voted up! I agree that "writers are notoriously helpful". A friend of mine told me about HubPages and a couple of other writing sites. When I dig through the forums looking for information, I am always amazed at the thoughtful and helpful responses by other writers. It truly is a community. Great hub and Congrats on your successes! A very helpful article! I am trying to become a "Freelancer" as a way to fully support myself. You did a wonderful job outlining the pros and cons, while pointing out that writing is a viable way to earn a living. Thanks for the tips! Hi, I'm new to this kind of industry and your hub really helped me a lot. Thanks! Very useful advice. I began writing books first and only recently started writing on hubpages. I haven't fully delved into writing for magazines, but it's next on my list of things to accomplish. Thanks for posting and congrats on your success! Interesting. I love your presentation! I am looking seriously at going into this area when I retire from the public service. Your hub is therefore most inspiring. Thanks Barbara Kay, Elance is a paid service, if you want to use it effectively, sign up for a basic membership plan. I did a course "Writing For Profit" some years back but lost the inspiration to take it further than a couple of short stories and occasional dabbling in poetry. This hub has given me a wake up call to get back into it and put in more effort. Thanks. This is good information. I've never tried Elance and will check it out today. Thanks emilynemchick I completely agree. On a bad day once I had someone contact me telling me how he'd be willing to offer me a whole 50 cents per 100 words! I asked him if he could live on slave wages because I certainly cannot and with 13 years of professional writing experience his so-called generous offer was a total joke. I don't think he expected a writer to be so blunt with him - he then proceeded to insult me - oh well, what can you do? lol. Fortunately, there are good paying clients out there that do realize you get what you pay for! Great hub! I'm still struggling to make enough money as a freelancer and one of the things that bugs me the most is people who offer jobs at pitifully low prices - and more irritating is people who take the jobs and make it OK! Great information, thanks! A good hub. interesting indeed. Very nice article. Freelance writing is often represented as a "get rich quick" scheme or an out-of-reach job. I know that I get "junk" email all the time offering the "secrets" to becoming rich by writing. Thank you for giving readers a realistic picture of freelance writing. I appreciate you sharing your experience with those hopeful to enter the field! Very interesting. It's motivating and correcting those misconceptions about becoming freelance writer. Thank you for sharing Christins and be more successful with your writing career. Thank you Carrie, glad you found it useful. ChristinS: Thank you for writing such an informative and meaningful hub. I have been a writer since elementary school and it is something that I have always loved. I dream of doing freelance full time someday, but I know that is probably after more experience and lots of let downs. I'm happy there is a place like hubpages where I can get my work instantly published for free :) Again thank you for the encouragement. Have a wonderful week. This is a great resource for anyone interested in pursuing freelance writing and really anyone who is simply looking for genuine information about the topic. I wrote an article about how to become a freelance writer a while back and will link this in it. Sound advice. Glad that you are able to benefit from this. Great tips and reminders. Freelancing definitely does have its pros and cons! Excellent hub! I have to get cracking and develop my portfolio. I may not have a "real" job for much longer. Rather than trying to land another "real" job, I'd rather do free-lance writing. Thanks for the great ideas and links. Thanks everyone for all the great comments - they are much appreciated. Vinaya and Deborah, I agree it can be difficult to find good paying jobs on Elance, but if you have a specialty niche, with a lot of writing samples (hubs are great for this), you can definitely find higher payers by scoping your job search to your niche. This is very helpful for someone who writes simply for fun and hasn't yet dipped a toe into freelancing. Thanks for this information. It is useful. Voted up and much more. I enjoyed this Hub. I have been writing as a hobby for several years now. I have been feeling the urge to do it full-time more and more each year. Hubs like this provide more motivation. I also bookmarked the Elance page and will be checking it out shortly. Thank you for writing this. This is a great article and lots of good advice. I signed up for Elance but never did a thing with it. I think I was dismayed by a lack of decent jobs when I first checked it out and haven't bothered to go back. Maybe I should give it another try. Those misconceptions are common. Many people assume things like that. When I say I'm a freelance writer, people often ask me, it is ok you write, but what exactly you do for living. I was not aware, this situation is also prevalent in the west. Freelance writing sites such as Elance and oDesk have not worked for me, but I enjoy writing for niche content sites, newspapers and web contents for independent clients. Thanks for sharing your view on the topic. Thanks! Exactly what I needed to hear. An interesting hub with great guidelines to be a successful writer from a very good writer.I could not stop reading this hub and its related sub hubs.Great writing.voted up.